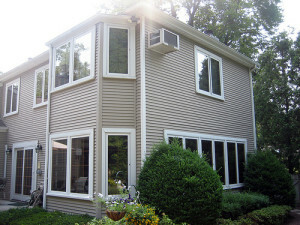 It is a thin film applied to your home that is barely even noticeable. It reflects most heat away from your home, helping to keep the interior cool throughout the year. It allows you to retain the view of outside and doesn’t darken your windows at all. It’s about 75 percent less expensive than completely replacing your windows. It protects your home furnishings from fading by blocking UV light. For more information about the window film offered by Green Machine, please contact us today. We’re proud to install this product, as well as many others, for homeowners in Amelia Island, Atlantic Beach, Jacksonville Beach, Orange Park, Mandarin, Palm Coast, Vilano Beach, and beyond. We also offer more home improvement products, including radiant barrier and blown in insulation, among many others.